This is the dwarf room in progress. This is with no lighting except the lava lights above the tables. It’s just a work copy. What needs work then? -Wall textures are to be completely redone. I just changed existing ones to gray for testing the color scheme. -Might change the floor to stone. 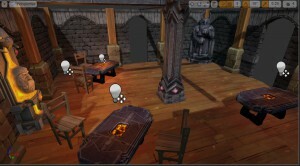 We’ll see how it looks and works with the rest of the tavern when building multiple rooms. -Chairs obviously needs to be more fitting to the same style as the tables. 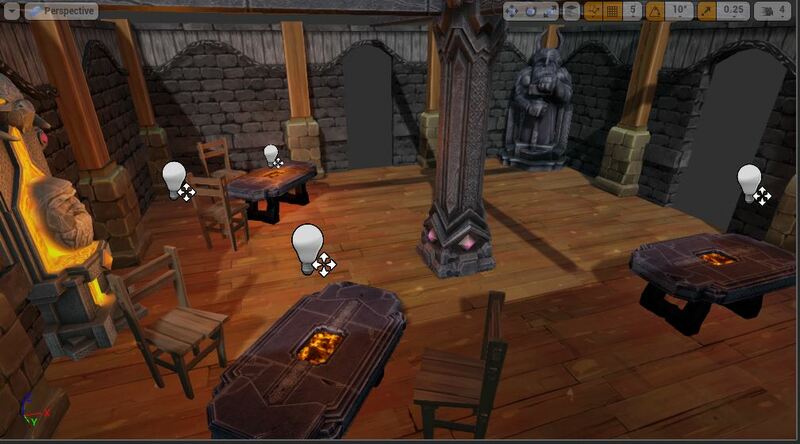 -Adding more ambient and room details, such as hammers laying around, a few mugs. Overall a better and more complete detailed room. -Change the wall pillars to stone pillars. Besides that, I ate my first ghost peppar today. It was a few hours ago, and I only ate like 2mm. I’m still hurting and focusing on not touching my eyes with my fingers. I tossed that sh*t right in the garbage.